This month, I looked around to see if I could find a pair of famous Gemini twins to quote from, but to be honest, the list was pretty disappointing. Most obvious celebrity twins I found are Mary-Kate and Ashley Olsen, Geminis born June 13th, 1986 and co-founders of their multi-million dollar franchise known simply as The Olsen Twins. 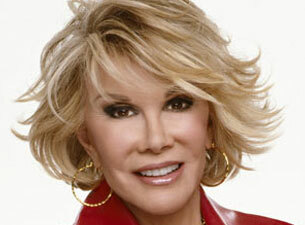 They may have lots of money, but memorable quotes were few and far between, so I decided to quote one of my favorite comediennes instead, Joan Rivers, a Gemini, born Joan Alexandra Molinksy on June 8th, 1933 in Brooklyn, New York. Not only is Gemini a total “word-monger” they are also the “tricksters” of the zodiac, and Joan is all of that – she loves to play pranks on people, doesn’t take herself too seriously and is an eternal Peter Pan who continues to make us all laugh with her hilarious humor and witty words. Well, actually, sometimes she’s downright crude, but she cracks me up, she really does. Now, this quote, although Joan has certainly used it, was apparently authored by an American writer named Alice Morse Earle (who was a Taurus) so I decided to give you both versions, which are almost the same, except that Joan’s is shorter! Yesterday is history, tomorrow is a mystery, today is God’s gift, that’s why we call it the present.